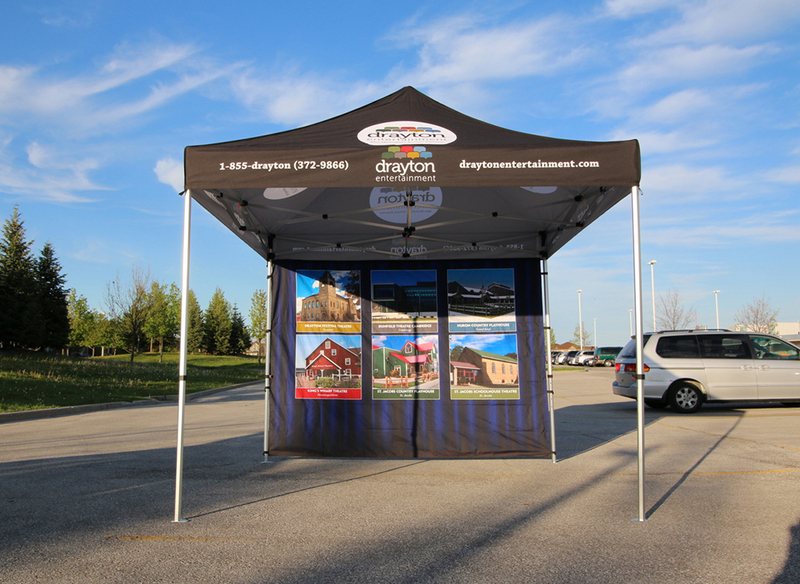 At Starline Displays, we know just what it takes to make your next trade show or promotional event a success. 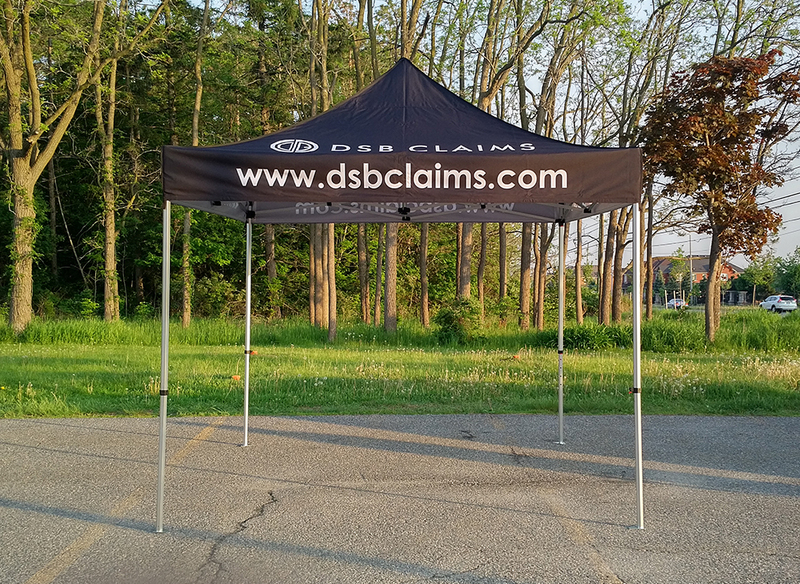 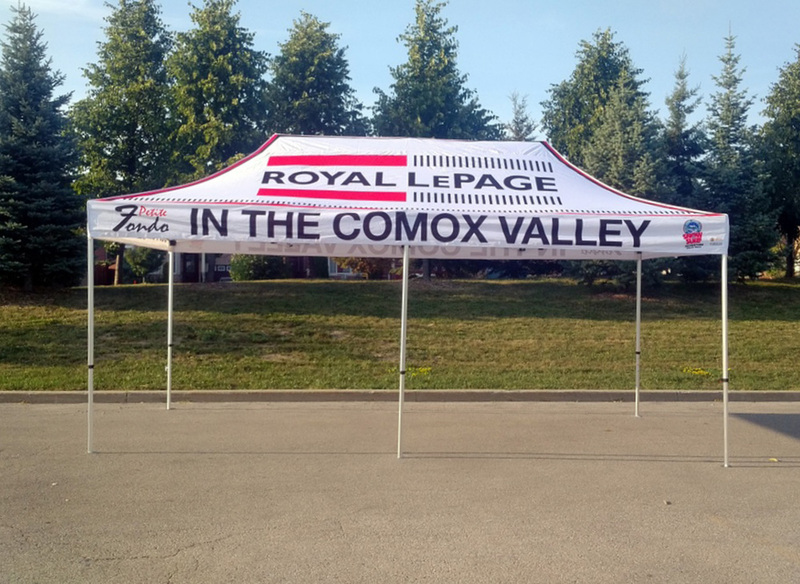 As part of our award-winning lineup of products, we offer stunning canopy tents that are completely customizable for your business. 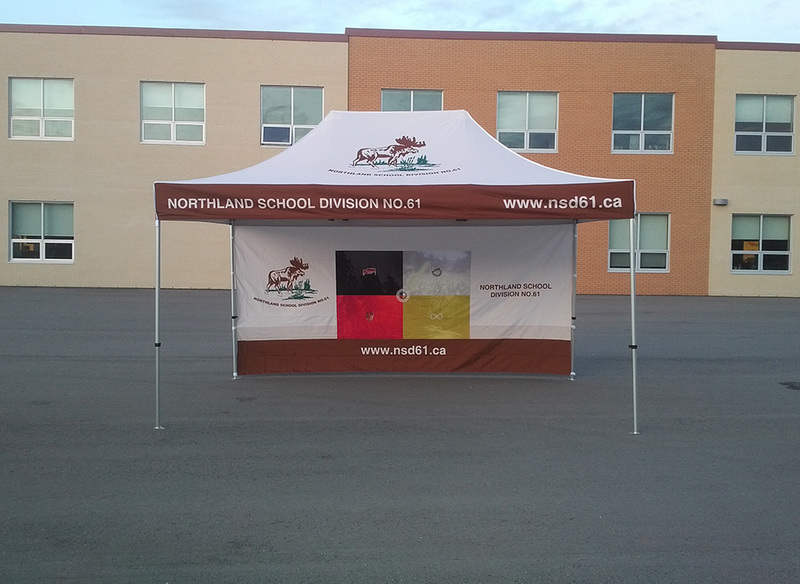 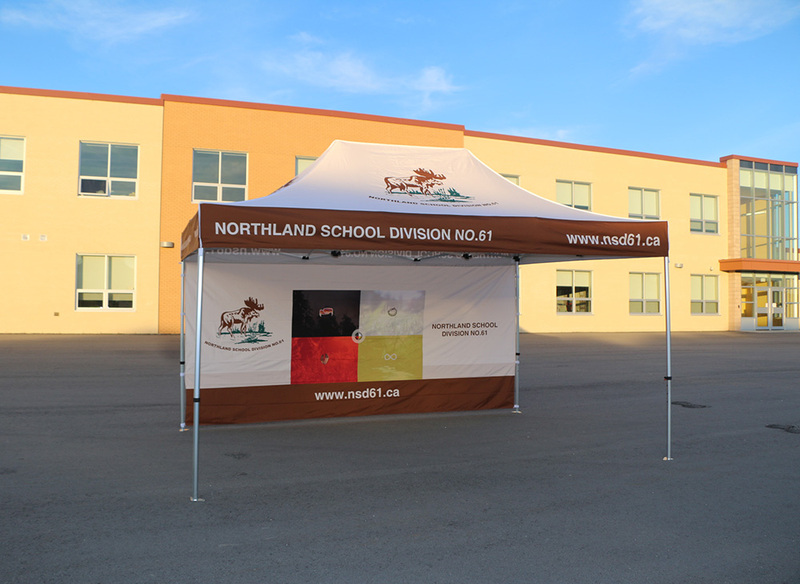 A custom canopy tent is the perfect finishing touch for your trade show booth, and can be used both indoors and out. 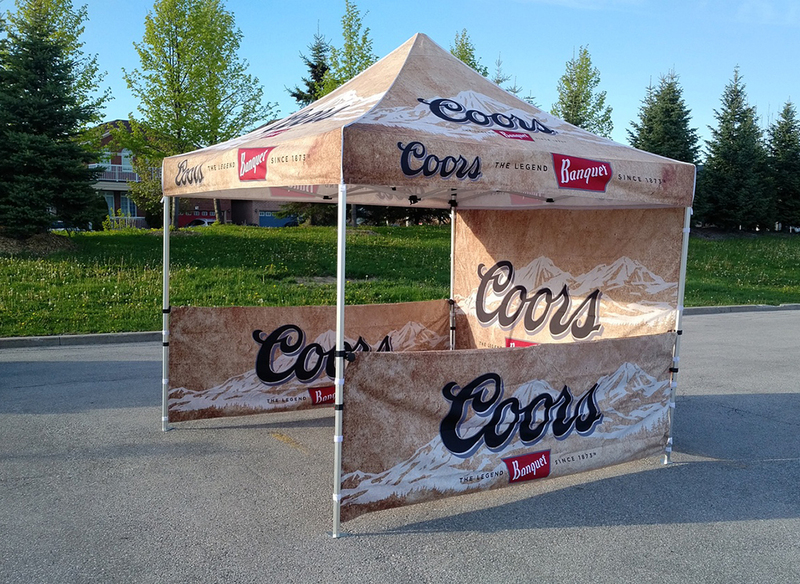 Simplify your order by taking advantage of one of our fantastic package deals. 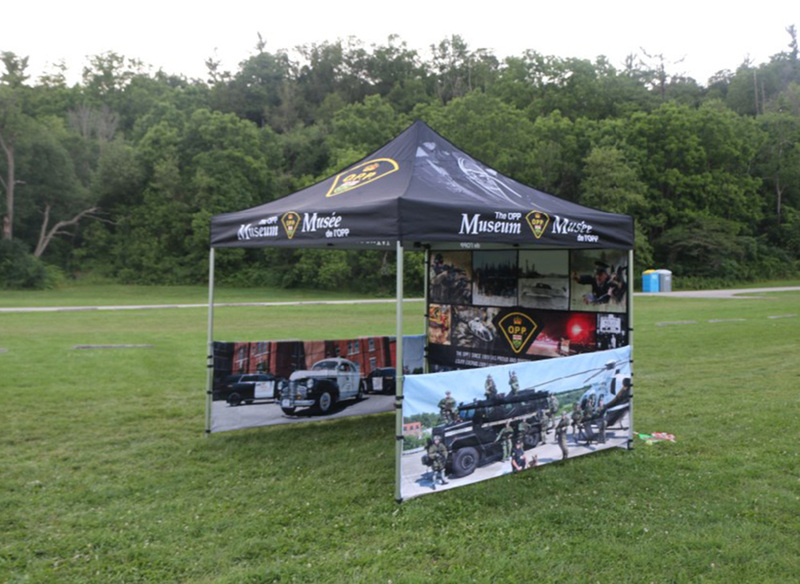 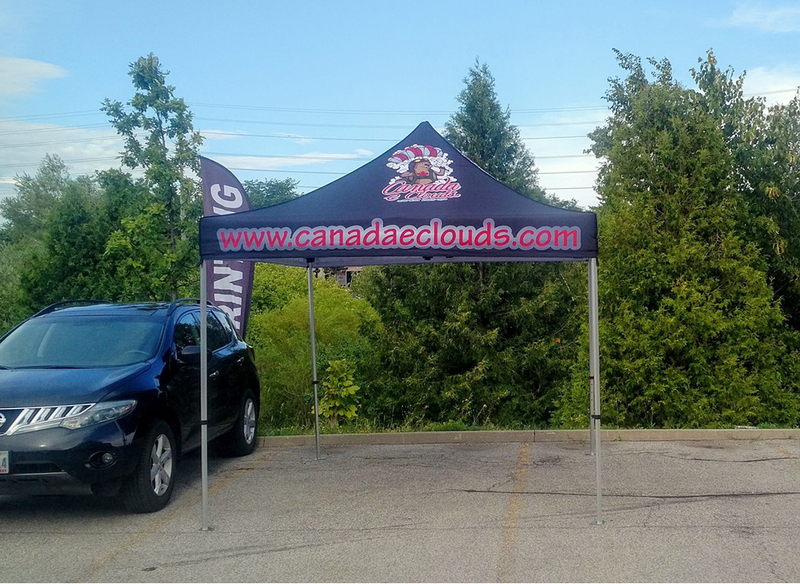 In addition to a beautiful, custom-printed tent, you can get even more with a discounted package deal, including flags, table covers, half walls, full walls, and so much more. 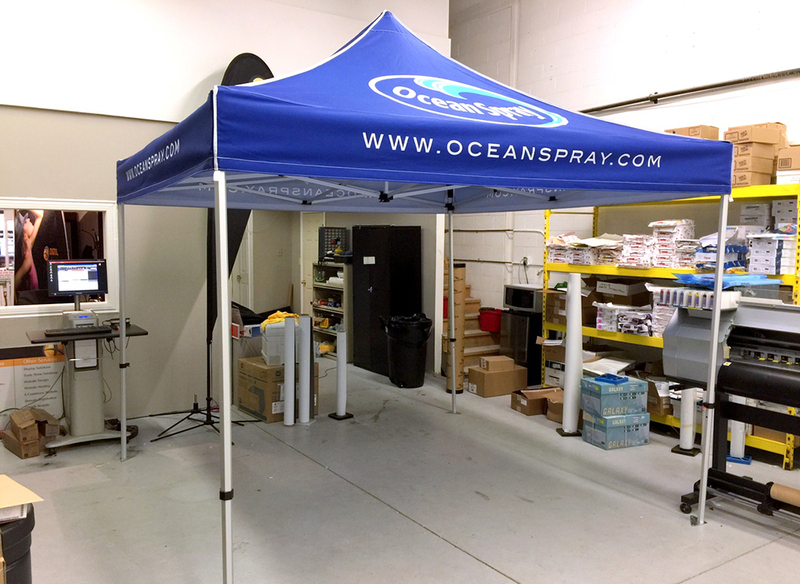 With one purchase, you’ll be ready for your next trade show. 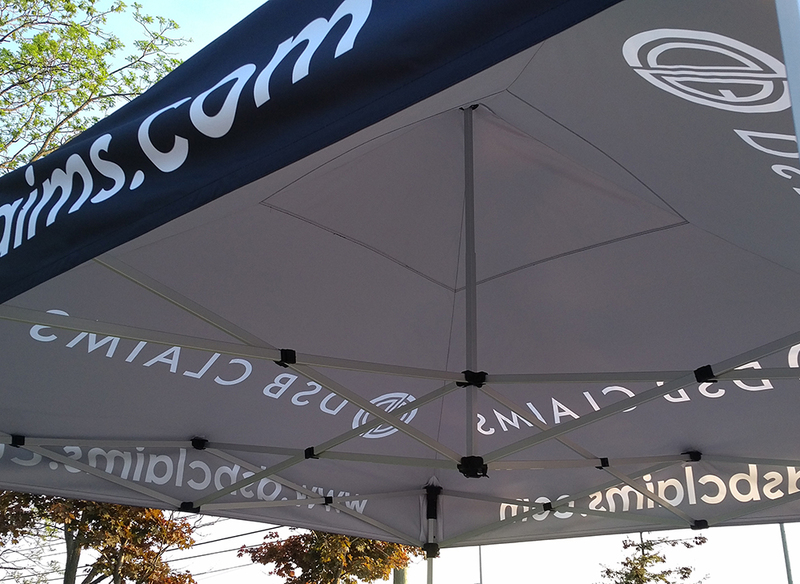 From the initial design to the final installation, the team at Starline Displays is there for you and your business. 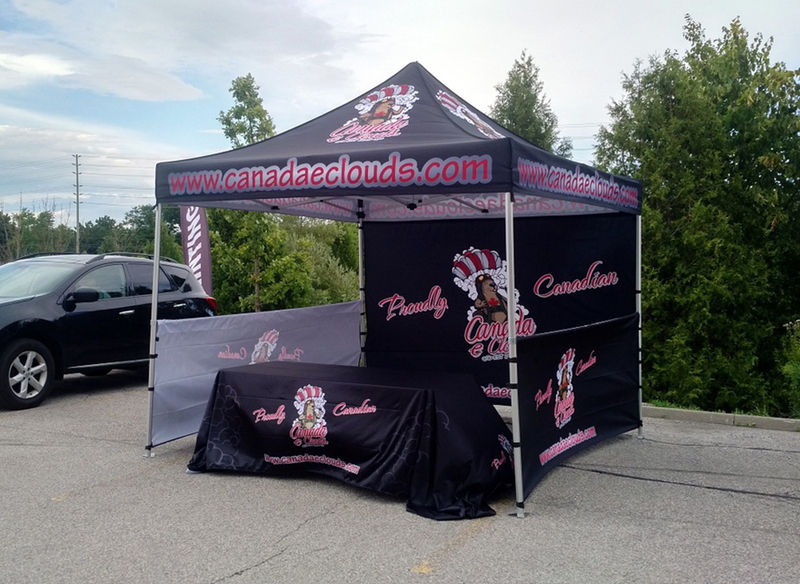 We partner with you every step of the way and provide post-product support. 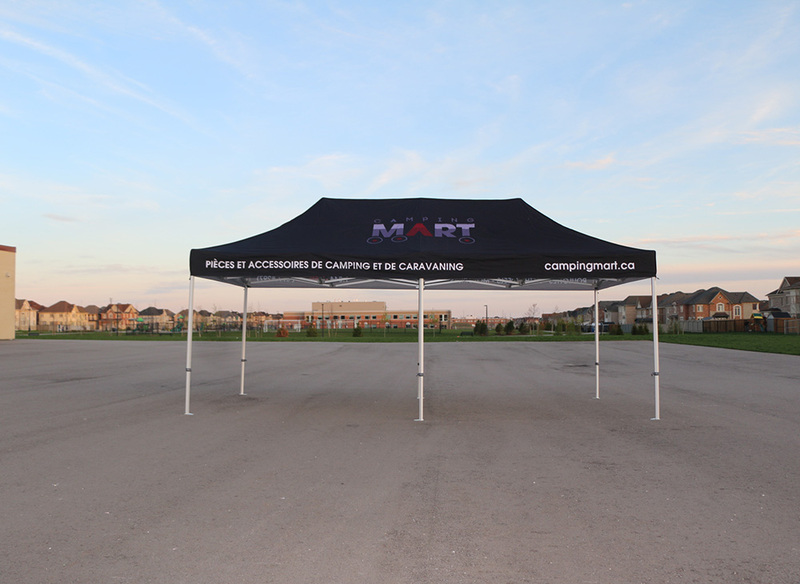 Using durable materials that are tested against harsh weather conditions, your custom canopy tent will stand up to the elements. 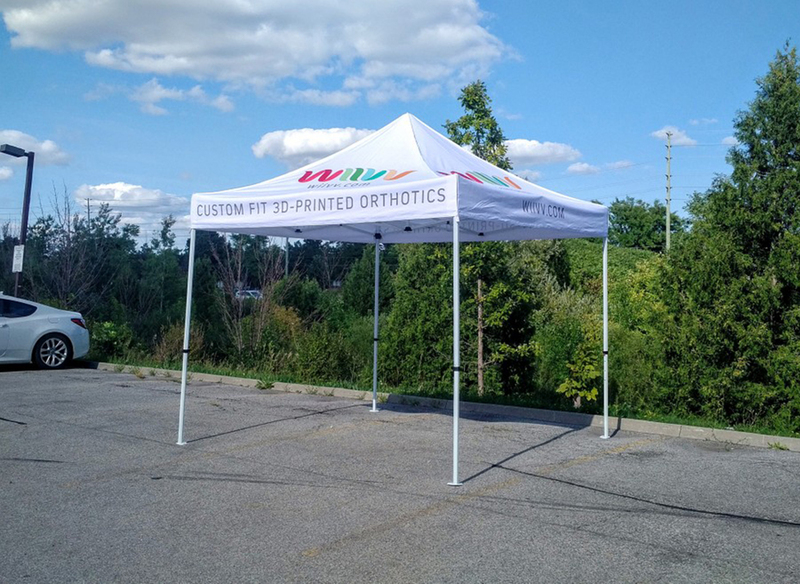 Our specialized design process ensures quality prints and products for all of our customers. 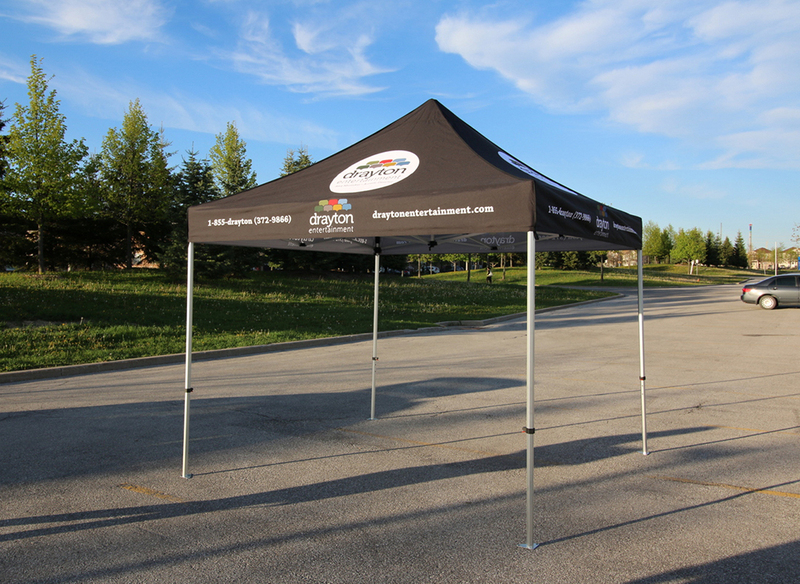 From small custom tents to grand canopies, Starline Displays has just what you need. 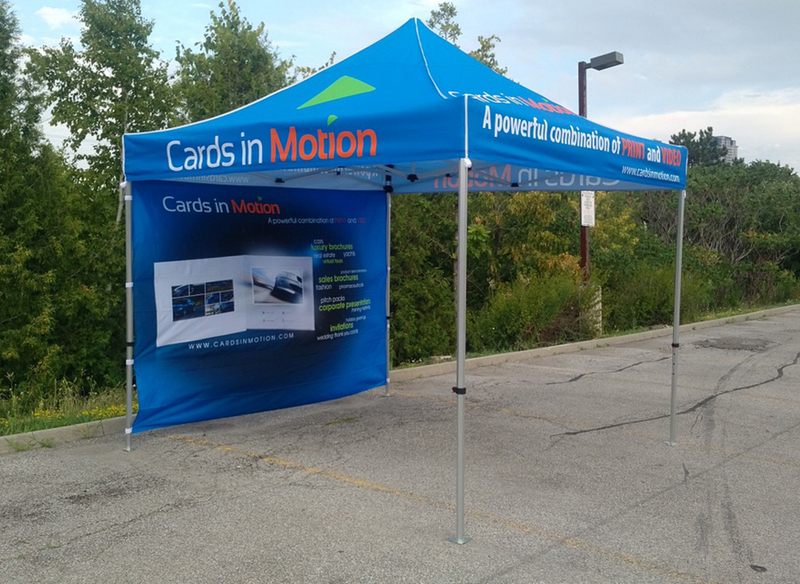 When paired with custom banners, flags, and booths, you can transform your trade show presence and draw more customers to your business. 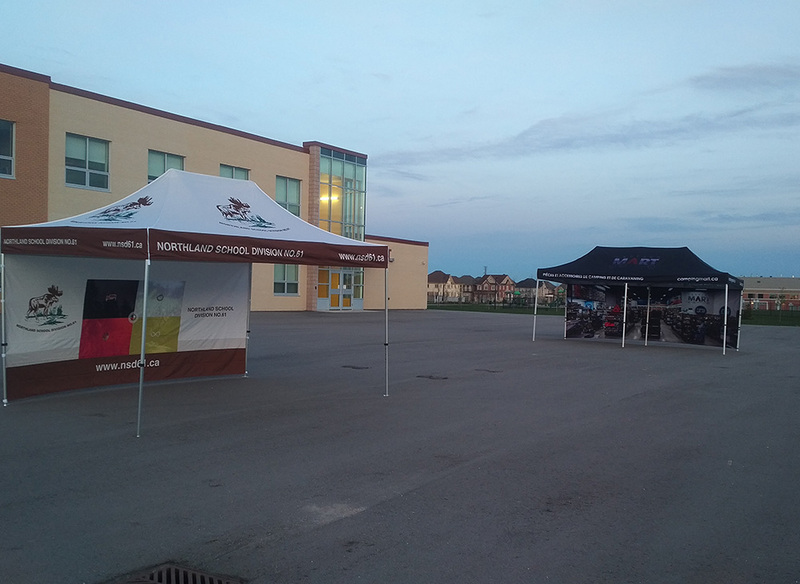 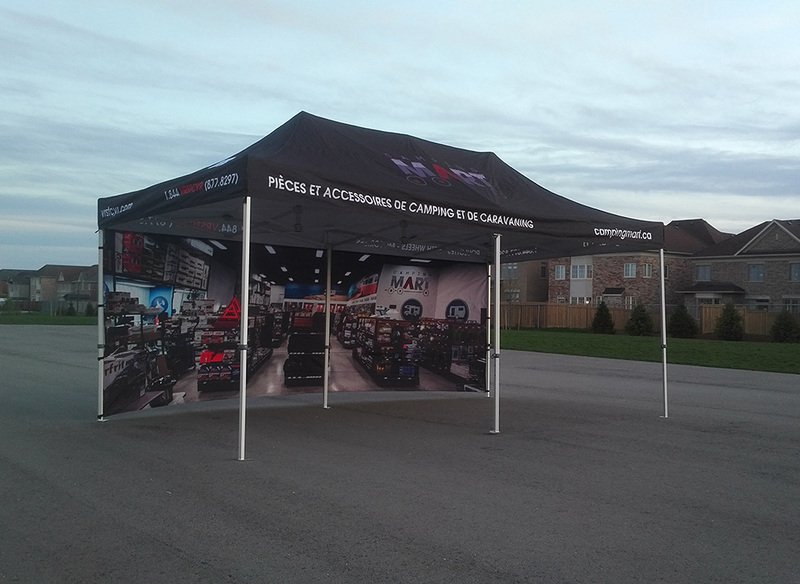 Starline Displays is a one-stop shop for all of your custom canopy tent needs. 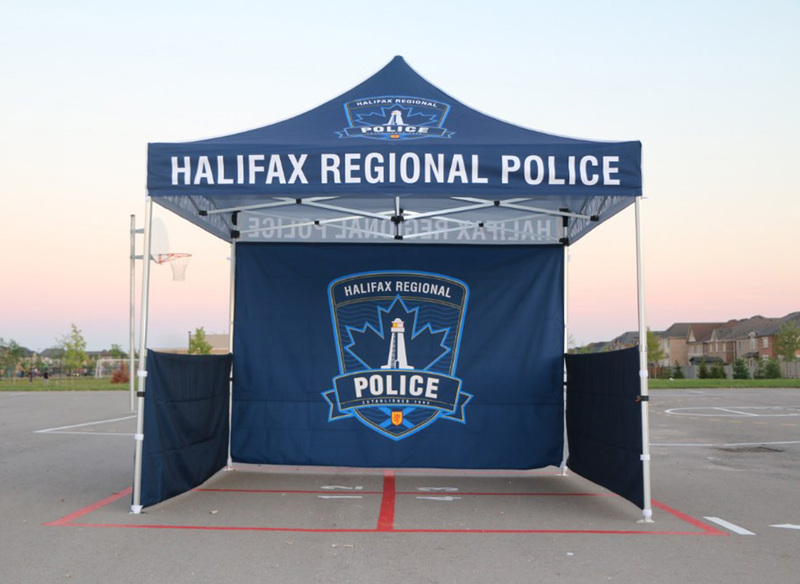 Our tents come in 10x10, 10x15, and 10x20 sizes, meaning we can provide you with a custom tent that fits virtually any booth space. 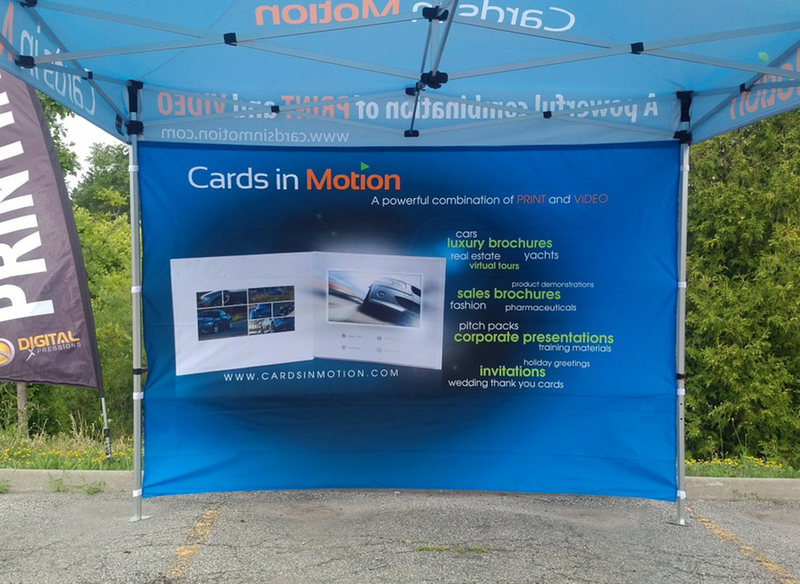 With full-color, high-quality prints, you’ll notice a difference at your next promotional event. 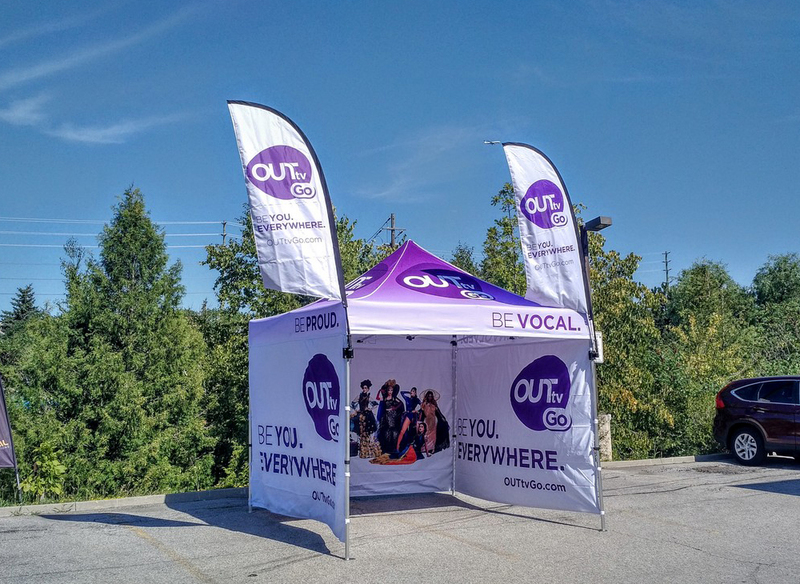 Your booth will be the talk of the trade show as soon as you set up your custom tent. 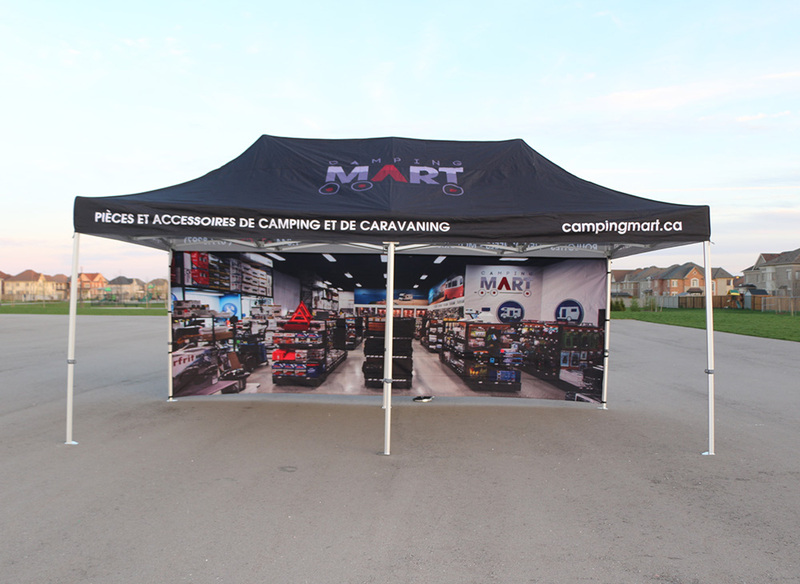 What makes Starline Displays different from the competition is our attention to detail and commitment to product excellence. 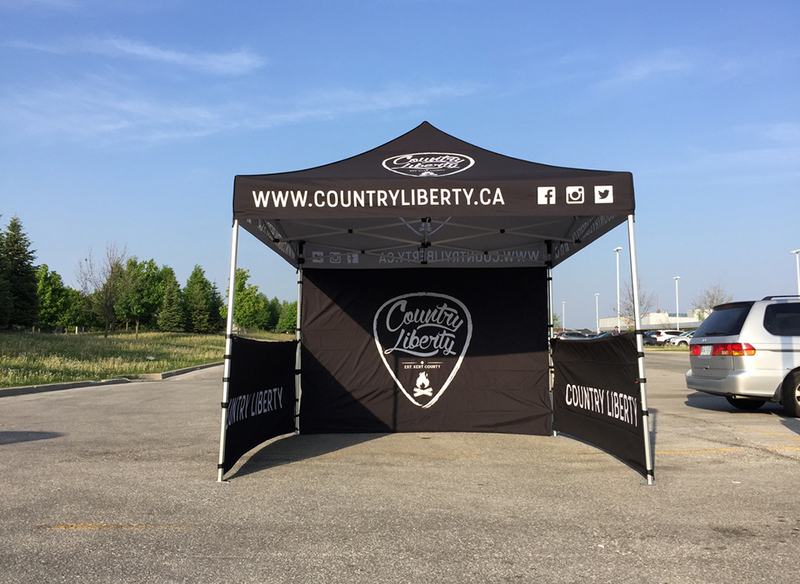 We provide full-customization on your entire tent, allowing you to create a custom canopy that captures your brand and message. 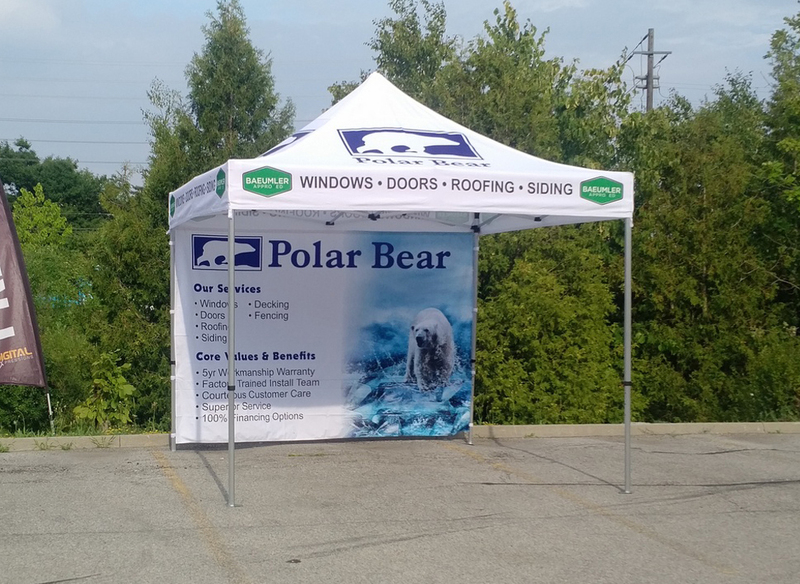 Call Starline Displays today at 404-582-8881, chat with us online, or email the team at sales@starlinedisplays.com for more information on our custom canopy tents for your next trade show or promotional event.